A Way to God(?) – Quakerism is a way of life rather than a set of beliefs. Quakers traditionally seek to experience God directly, within themselves and their relationships with others around them. But modern Quakers may not use the word "God" or find a conventional notion of deity helpful (these Quakers are referred to as "Non-Theist Friends"). In practice, Quakers differ on exact beliefs (there are also Universalist Friends and Quakers with multiple belonging such as Buddhist Quakers and even Pagan Quakers) ,and in the language they use to describe them, but most agree on the experience of something greater than themselves. These direct encounters with the divine, however it is expressed, are where Quakers find meaning and purpose. 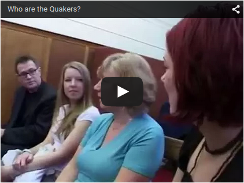 Quaker Spiritual Practice – The bedrock of the Quaker way is the silent Meeting for Worship. We seek a communal gathered stillness, where we can be open to the Inward Light. Early Quakers identified this Inward Light with the Spirit of Christ, but some modern Quakers regard this simply as something within all of us, that is essentially good. During our meetings for worship some may feel moved to speak: something anyone can do, as all are considered equal. 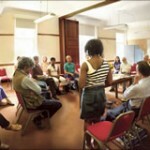 Meetings can be held anywhere, at any time, although in practice they are often on Sundays in our Quaker Meeting Houses. Quakers and Christianity – The Quaker way has its roots in Christianity and finds inspiration in the Bible and the life and teachings of Jesus. Quakers also find meaning and value in the teachings of other faiths and acknowledge that ours is not the only way. The Quaker interpretation of the teachings of Jesus of Nazareth is not based on a creed, rather on a way of life that Quaker believe is a faithful interpretation of what He was trying to teach in the gospels. Sharing our Experience – The focus is on our experience rather than written statements of belief and our collective experience is shared in Quaker Faith & Practice. This book is an anthology of Quaker experiences and insights from the founding of the Religious Society of Friends in the 17th Century to the present day. It is updated every generation, recognising that our understanding of truth moves on. 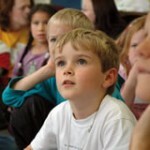 Quaker Communities – Quakers meet together for worship and other activities in local and area meetings. These are inclusive and open to all. In our meetings we hope to find acceptance support, challenge, practical help and a sense of belonging. Our sense of community does not depend on professing identical beliefs, but from worshipping, sharing and working together. Leadership – Quakers in the unprogrammed tradition, common in most of the UK, do not have priests or a hierarchy, as we believe all people can have a direct relationship with God. All Quakers are entitled to participate in decision-making processes and to help run the Society. Those with specific roles are asked to serve for limited periods of time, after which others take their turn to serve. Working for a better world - Our religious experience leads us to place a special value on five central "Testimonies" (lived beliefs): Simplicity, Truth and Integrity, Equality, Peace and Sustainability. These Testimonies, as they are known, are lived rather than written. They lead Quakers to translate their faith into action by working locally and globally for social justice, to support peacemakers and care for the environment. Minute 36 (aka Canterbury Committment) - In 2009 at our Yearly Meeting in Canterbury, we as a Yearly Meeting (the corporate body for Britain) endorsed a committment to become a sustainable, low carbon community. Many Quakers have been doing their best to live sustainably and visitors may have noticed changes to Brighton Friends Meeting House in recent years to bring us more into line with this committment. Further Reading: Advices and Queries (a small book available from the office), Quaker Faith and Practice (our book of discipleship and inspiration that we use in conjunction with the Bible).